CAIRO, April 6. /TASS/. 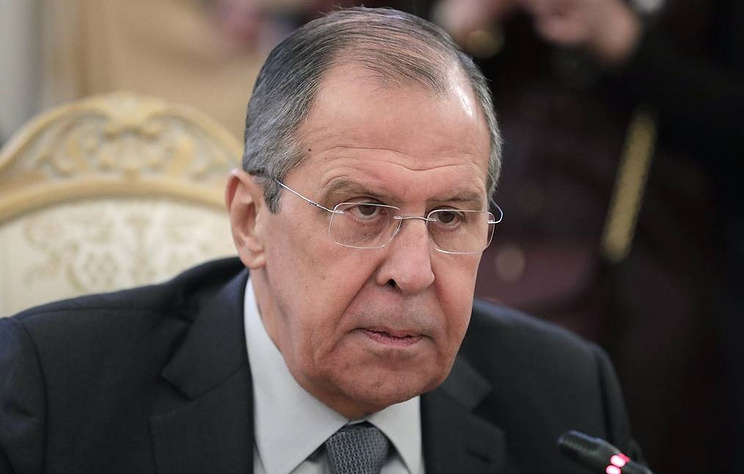 Russia is opposed to unilaterally apportioning blame in the Libyan crisis, Russian Foreign Minister Sergey Lavrov said on Saturday following talks with his Egyptian counterpart Sameh Shoukry. "Today we discussed Libya in detail taking into account the developments there. We keep a close eye on the armed forces’ advance, including the Libyan National Army and other groups, including those, which are illegal armed groups and control a considerable part of the country’s capital and some other areas," he said. "We exchanged information on how this situation is discussed by the UN Security Council. We are opposed to attempts to apportion blame unilaterally." According to Russia’s top diplomat, the cause of the Libyan crisis lies in NATO’s actions in 2011. He stressed that, since then, Libya has become a destroyed state and a ‘black hole’ for terrorists, arms trafficking and illegal migrant flows. "It is very difficult to move forward without understanding the underlying causes," he went on to say. "Just like Egypt, we would like Libyans themselves to determine their fate and begin an inclusive, businesslike dialogue without any artificial deadlines imposed on them from outside and without attempts to rush Libyans against their will." According to Lavrov, Russia maintains contacts with all Libyan parties. "We welcomed contacts between Libyan National Army Commander Khalifa Haftar and head of the Government of National Accord Fayez al-Sarraj," he said. "During our contacts with all Libyan political forces, we send them the same signals, and we have never tried to bank on anyone. I am certain this is the way one should act in this case." He drew attention to the fact that the UN Security Council would convene again on Saturday to get detailed information on the developments in that country. "We are concerned about the fact that some armed groups in certain parts of Libya said they would use warplanes against the Libyan National Army," he pointed out. "Those who have influence with these units, must prevent this escalation." Lavrov stressed that the global community needed to call on the Libyans to cease hostilities and sit down at the negotiating table.